Somerset Heping Shenyang, located in the heart of Shenyang’s main commercial and shopping district, is the ideal place for business and leisure travellers looking for the comfort and convenience of living in a modern residence with endless eating and entertainment options close by. For a taste of history, the famed Shenyang Imperial Palace and Beiling Park nearby will give you a chance to enjoy a piece of ancient Chinese culture. Your serviced residence is just a 15-minute drive to Shenyang North Railway Station and a 35-minute drive to Shenyang Taoxian International Airport . Within walking distance, the metro station gives you quick access to the whole city. 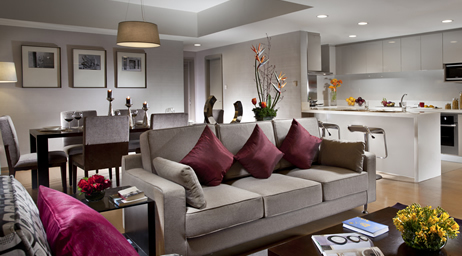 To make you feel right at home, all 270 fully-furnished serviced residences feature spacious living areas, fully-equipped and upscale kitchens, with separate dining areas. The indoor floor heating system keeps you warm during the chilly winter months. 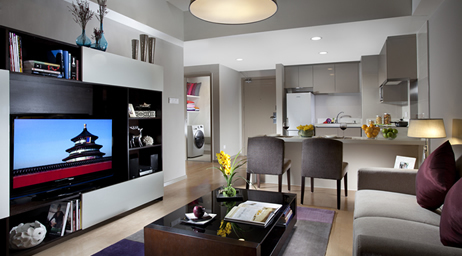 Our state-of-the-art HiFi systems and LCD TVs with satellite and cable channels offer many home entertainment options. And after a hard day’s work, relax at the spa or residents’ lounge, stay in shape at our fully-equipped gym, or simply spend time with your family at the children’s playground or games room. 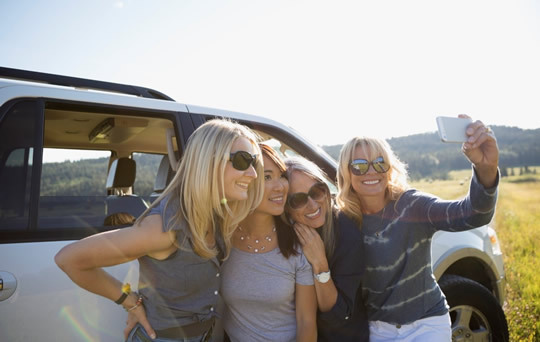 The 2 4-hour security personnel and system will provide the comfort of knowing that you and your family will be safe and secure at all times. On 30 March 2019, in order to support the global environmental protection program - Earth Hour, Somerset Heping Shenyang organized a collection of environmentally friendly plastic products in the lobby throughout March. 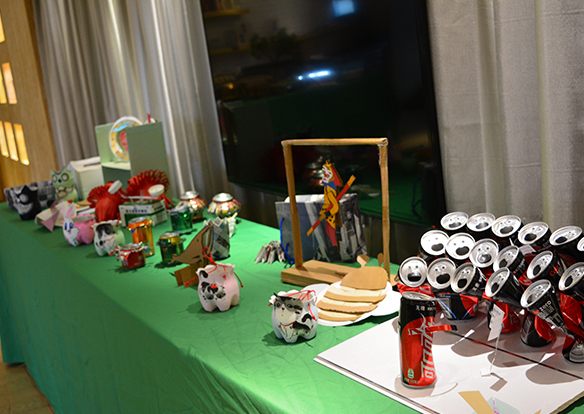 On the day of the activity, the apartment also exhibited environmental protection handmade works by residents and employees. On the eve of the Spring Lantern Festival, Somerset Heping Shenyang prepared a special Spring Festival activity for the residents. The event began with the lion dance. The vivid lion dance drew cheers from the audience, which was also curious about the auspicious symbol of Chinese tradition. Then, we led the residents to the shenyang Huang Si temple fair to experience Chinese customs and food culture. Finally, the residents made dumplings and tasted sweet dumplings in the property. Everyone spent a pleasant and peaceful time. Ping Ping Pong Pong! 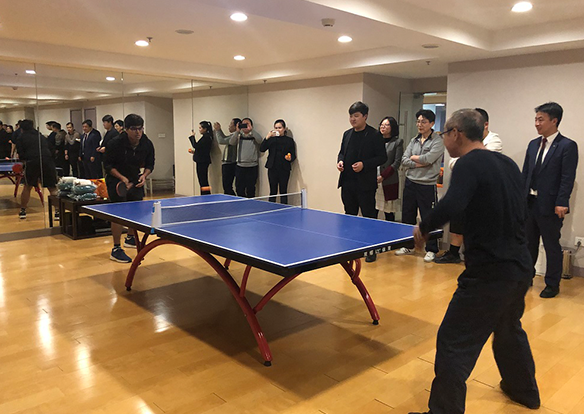 Table Tennis Tournament of residents and staffs in Somerset Heping Shenyang had begun! On the day of the activity, the residents and staffs were sweating in the yoga room, and the atmosphere was very warm. Although table tennis is China's national game, its unique charm has been attracting foreign friends. The peak confrontation of long and short balls, the staring of serving balls, all kinds of perfect pace to meet the ball, everyone was immersed in the happy time. We all together spent an exciting and enjoyable weekend evening. 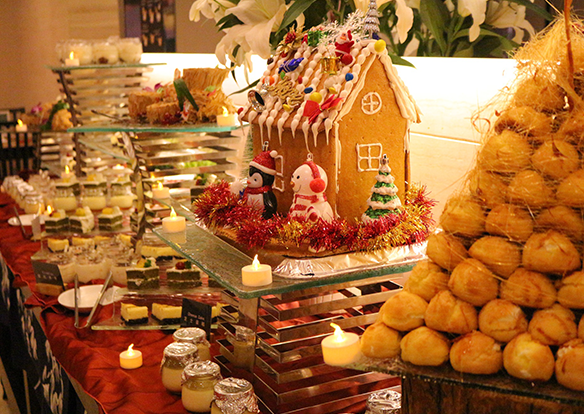 Jingle Bells, Jingle Bells, Somerset Heping Shenyang prepared an unforgettable Christmas party for the residents. Christmas party is full of traditional Christmas dinner: Christmas Turkey, Christmas wine, Christmas cake, and exquisite gingerbread house... All the residents enjoyed the delicious food and wine together. The wonderful program at the party set off another climax. The unique Chinese traditional features of face-changing performance and magic let the guests amazing. After the magic, there was a cute song and dance brought by the residents, the song and dance gained the cheers from the residents. In the end, the exciting golden egg smash time was on, we prepared delicate gifts for the residents, the residents gave the warm applause no matter to themselves or others. The whole party ended with joy and laugh. Everyone will meet together on the Christmas Eve every year, although the neighbor this year is not the same as before, they will still say hello to each other and share joy and happiness. 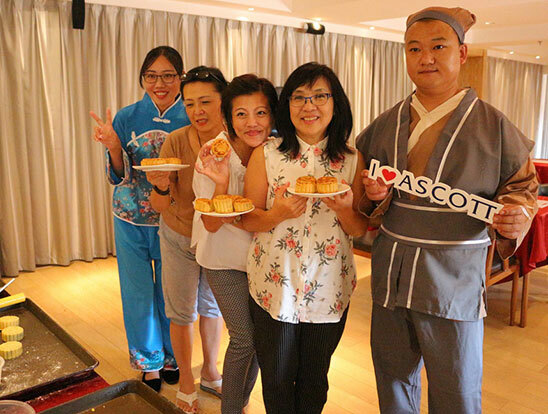 Because we stay together in Somerset Heping Shenyang, an international community, a big family with Ascott Lifestyle. Eye cakes, grave cakes, grimace donuts with pumpkin lanterns and bone balloons, the Halloween party of Somerset Heping Shenyang is coming! 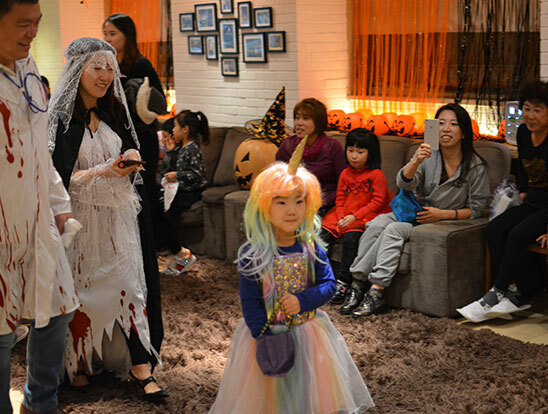 The residents of Somerset Heping Shenyang got together on the 9th floor in the residents lounge and spent unforgettable halloween night! Almost 85 residents joined the party. Sparkles, balloons, colorful snowflakes, which made all the residents dumbfounded. The residents enjoyed Halloween treats while watching funny monster movies. After the movie, kids asked for candies on evey floor. The residents were friendly to each other, which brought warmth to the northern city of shenyang in the late Autumn. All the residents spent a sweet and terrified night, we became unfamiliar to familiar, which made awarm and harmonious community life of Ascott! Before the Mid-Autumn festival, Somerset Heping Shenyang held mooncake making event. At 11 am, the weekly cooking class began as usual, but the food is very special today, which is the traditional Chinese Mid-Autumn moon cakes. Delicious fillings, plentiful moon cake crust, special mold for making mooncakes, which are very strange to the residents. With the guidance of the chef, the mooncakes in each hand are perfect and the air is full of the sweet flavor of mooncakes. After baking in the oven for 15 minutes, the fresh mooncakes come out. Residents enjoy the mooncakes, meanwhile, the chef explained the origins of the traditional Chinese Mid-Autumn festival. The atmosphere is harmonious, relaxed and comfortable. In addition, other mooncakes made by residents will be given special meanings, and they will be sent to Sunshine Home community in Tiexi district of Shenyang on the next day, which will bring warm and festive greetings to the special children of the home. 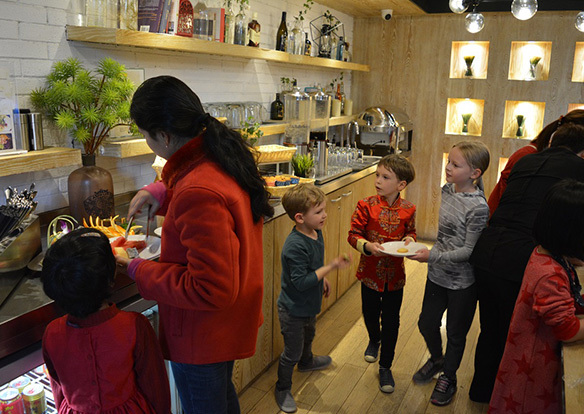 Somerset Heping Shenyang leads the residents to experience Chinese traditional culture and food through cocourful activities, and contribute to charity.